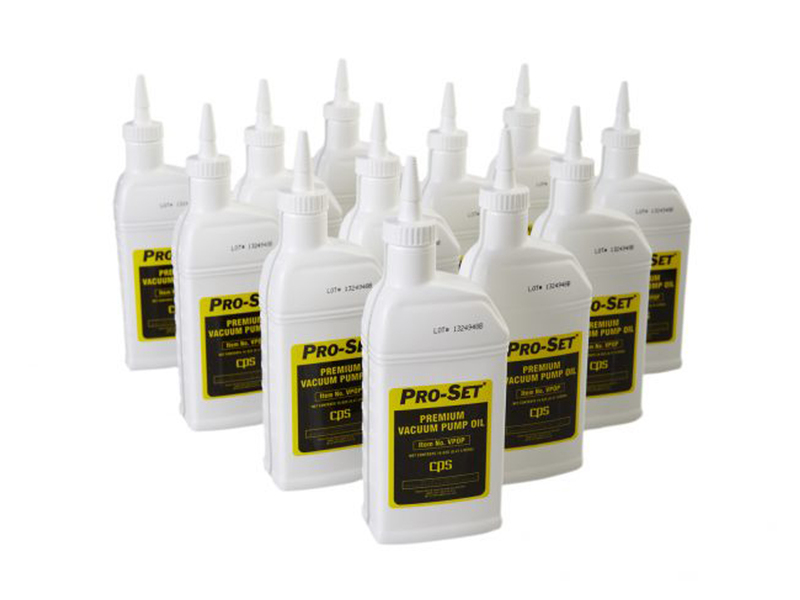 VPOP12 | Pro-Set® Premium Vacuum Pump Oil - CPS Products Inc.
PRO-SET® Premium Vacuum Pump Oil is an extremely high quality, severely hydrotreated vacuum pump oil. The oil is compatible for use in pumps made by most manufacturers. PRO-SET® Premium Vacuum Pump Oil should always be clean and free of contaminants such as moisture, acids, vapors, dirt etc. It is strongly recommended that the vacuum pump oil be changed after each use to improve service and the life of the pump.